Rabbi Aaron Frank is Head of School at the Kinneret Day School in Riverdale, NY. Prior to coming to Kinneret, Rabbi Frank was the Associate Principal at SAR High School. Before moving to New York, he worked at the Beth Tfiloh Dahan Community School in Baltimore for twelve years, serving as Lower School and then High School Principal. 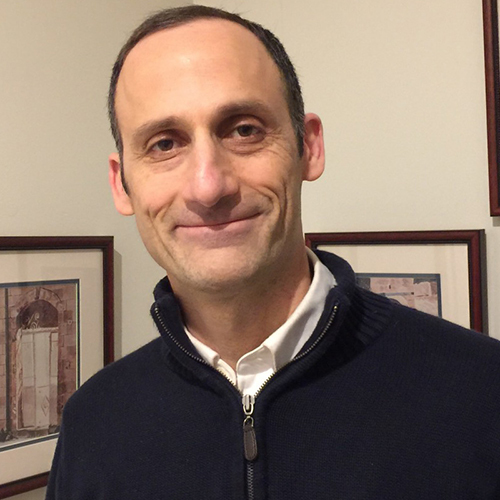 In addition to his work in education administration, Rabbi Frank has served as a High Holidays rabbi at Beth Sholom Congregation in Potomac, Maryland since 2001. A graduate of the Jerusalem Fellows program at the Mandel Leadership Institute in Jerusalem as well as of the Principals’ Center at Harvard Graduate School of Education, Rabbi Frank serves on the board of the International Rabbinic Fellowship and on the Rabbinic Advisory Board of Yeshivat Maharat. He served as Associate Rabbi of the Hebrew Institute of Riverdale under the mentorship of Rabbi Avi Weiss from 1996 until 2000 and was a founding member of Congregation Netivot Shalom in Baltimore. A musmakh of Yeshivat Chovevei Torah, Aaron holds a B.A. in Philosophy from the University of Michigan and an M.S. from Columbia University School of Social Work. Rabbi Frank is married to Laura Shaw Frank. They have four children: Ateret, Yanniv, Elinadav, and Neri.